Even if you're not a car aficionado, a car as fun, unique and cutting-edge as the 2015 Nissan Juke will make you turn your head. 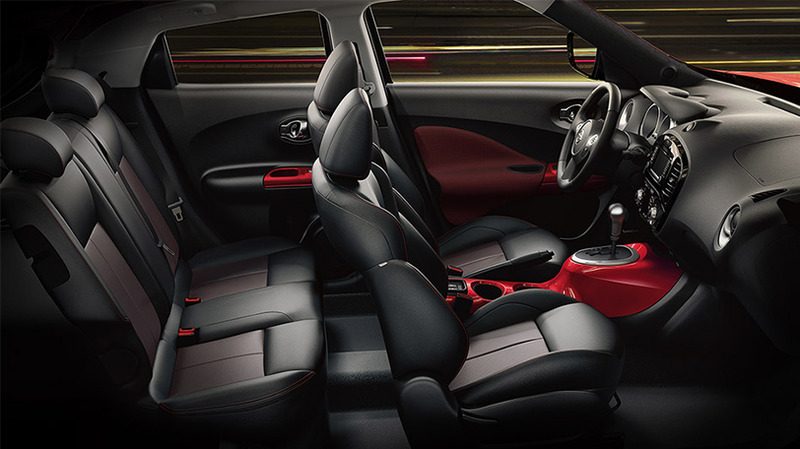 A sporty, capable little machine, the Juke is the car that makes a statement wherever you go. Sutherlin Nissan Vero Beach, serving Fort Pierce and River Park, FL would also like to make a statement: "We want your business." So let our friendly salespeople take you for a test drive in this sprite, colorful car and help you drive home in one tonight! Since its introduction in 2010, the Nissan Juke has been setting the car world on fire with its innovative design and features. But don't let its cute exterior fool you -- this subcompact is packed with power. Under the hood you'll find a choice of two engines -- a 1.6L 16-valve turbocharged 4-cylinder with 188hp, or a 1.6L turbocharged 4-cylinder with 215hp. A CVT automatic transmission is standard except on the NISMO models which come with a manual. Whatever transmission you choose, there's a lot of brawn in this little car, so you can rest assured you'll have plenty of strength and acceleration in this baby. 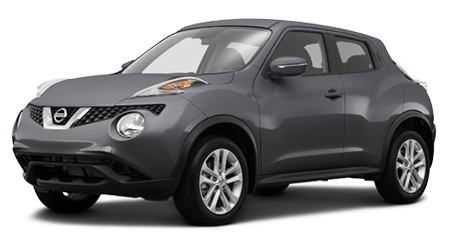 Despite the Juke's robust engines, you'll still be saving money at the pump with an EPA-estimated 28 city/32 highway mpg with the 188hp 25 city/31 highway mpg with the 215hp engine. Five trims are available in the 2015 Nissan Juke -- the S, SV, and SL, and the higher-performance Juke NISMO and Juke NISMO RS. Standard features on the lower S and SV models include 17-inch alloy rims, projector halogen headlights, LED accent lights, and dual power outside mirrors. A 5-inch color monitor, 6-speaker audio system with NissanConnect with Mobile Apps, a rearview monitor, Bluetooth and a Nissan Intelligent Key that you can keep in your purse or pocket to open and start the car are also standard. Elevate to the SL, and you'll get a 5.8-inch display premium audio system with SiriusXM and leather seats. The NISMO trims are defined by 18-inch alloys, NISMO red side mirror caps, front grille and body kit front and rear fascia on the exterior, and a NISMO tachometer and special front bucket seats in the interior. If you live in Vero Beach, Fort Pierce, or River Park, FL and you're hip, trendy, and most importantly, smart and savvy, the 2015 Nissan Juke is the car for you. Sutherlin Nissan invites you into our showroom to take this fun little car for a ride. And we promise we won't take you for a ride when we make you a great deal!